Christmas came to Hong Kong earlier this year! Meet You Are Here Christmas – Hong Kong! 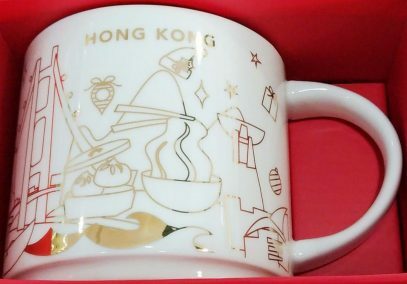 I believe last year Holiday YAHs were a success and Starbucks decided to expand this mug family quite a lot this time. You know what they say about gold? The more the better! And I agree with those who say that this new approach looks more festive. If you’re excited about this new mug, and need it ASAP, check the links below as it’s already available on eBay!